Update and a shout-out for friends. Hey everyone! I’m a bit quiet at the moment, mainly because wrangling the monster that is my social networking process into some semblance of order is taking A LOT of time. So. What am I doing, you might ask? Right now, I’m busy with sorting out my Twitter. The one most of you follow (@MishaMFB). To say the least, I have been awfully silent on there lately for one simple reason. Oh and while you’re at it, click this link please. Don’t get me wrong. I’m all for promotion. I’m just not all for promotion when it’s spamming my Twitter feed so much that all the promotion take all of the “social” out of social networking. Know that I love you to bits, but I don’t love your twitter profile, so I’m just going to stop following it. Because honestly, all the clamoring for attention and links instead of real interaction is driving me nuts. So much so that until now, I’ve actively been avoiding my twitter. And worse still, I only posted links there myself because I didn’t want to trawl through my feed looking for people to talk to. But no more. I’m trying to become the solution for myself by clearing out my feed. It’s taking long, though. I followed almost 3000 tweeps in my time on twitter and now I have to manually go through all of them to see who’s only posting promos. Yes, I know. Again. But the house I’m moving to will be super awesome and actually big enough for all of us. I can’t wait. But it does mean that I have limited time in which to get everything done, and since my twitter feed sort out is part of a larger reorientation of my social networking time, I have to get that done first. Which means that I’ll only really get around to full-steam blogging in July. The obvious exception being my bloghop post on Friday. If you missed my whole post on what’s making me reorganize, you can find it here. Continuing my hunt for exposure, I’ve entered both The Heir’s Choice and Endless into The Wattys, which is Wattpad’s way of awarding good writing posted on the site. If a book wins, they put a bit more extra marketing effort into it, which is exactly the sort of thing I want at the moment. 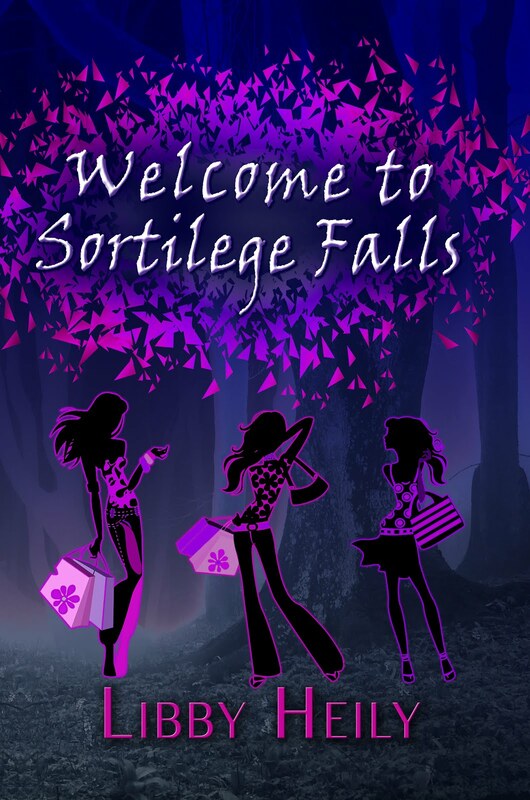 So if you’re on Wattpad and you’ve been waiting for an excuse to read my books, please do check them out here. In Falside, girls are a rare commodity; protected, controlled, and tracked by the administration. They spend their days idly waiting to be married off to the highest bidder. When the marriage announcements include Tale’s lover, Freda, the women will do anything to stop the match from happening. Their relationship is forbidden, and as members of the resistance, they’re already risking everything. But as their attempts to stop the wedding fail, both women have to decide what they’re willing to sacrifice for love. 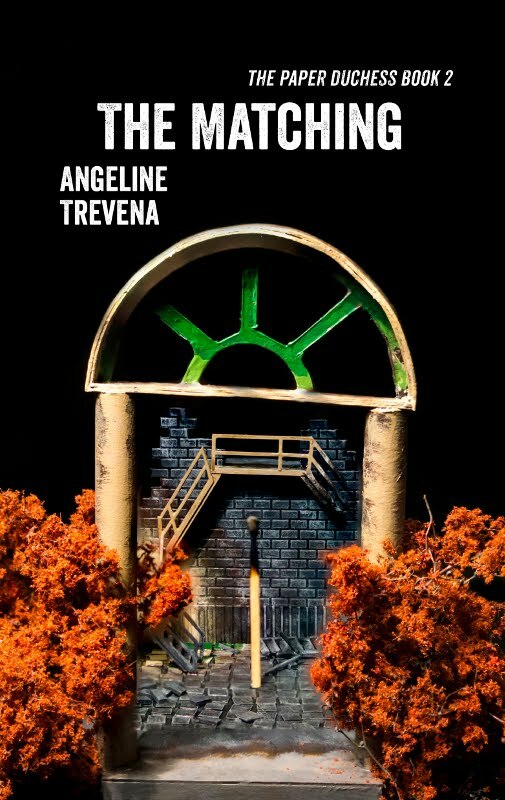 Angeline Trevena is a British dystopian horror author. She was born and bred in a rural corner of Devon, but now lives among the breweries and canals of central England. In 2003 she graduated from Edge Hill University, Lancashire, with a BA Hons degree in Drama and Writing. During this time she decided that her future lay in writing words rather than performing them. Some years ago Angeline worked at an antique auction house and religiously checked every wardrobe that came in to see if Narnia was in the back of it. She’s still not given up looking for it. That’s it from me. How are you doing? So lately, I’ve been thinking. Yeah. I haven’t been able to write much, so it’s given me plenty of time to consider where my writing career needs to go and what I need to do in order to get there. The main thing for me is my approach to social networking. But then something happened that made me re-evaluate EVERYTHING. And I warn you, this is going to be a downer if you’re a self-publisher. 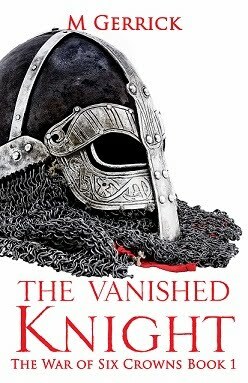 It started with The Vanished Knight getting over 175k reads. 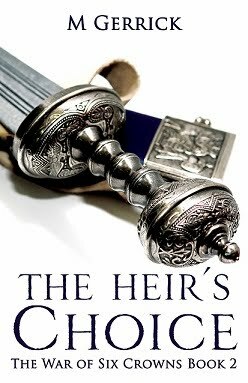 The pictures I used for its cover and for the one on The Heir’s Choice are creative commons pictures. I’m not really worried that I’ll get sued or anything like that but, you know… The more people read the story, the more nervous the free image idea makes me. Besides that, the fact that I used two swords on the covers kind of limited the direction in which I can go for book 3, which I’m planning to publish later this year. So. I started designing new ones. While doing that, I did my usual thing of going to Amazon and searching my genre (Epic Fantasy) to see how my covers compare. And I noticed something very, very worrying. Amazon now cuts off search results at 20k books. No matter what I did, I never got more than 25k books out of my search. Maybe there’s a way, but I’m only a run-of-the-mill user type. You know, the exact type of person who’d be looking for a new book to read. You’re seeing the problem, I assume. Even if I enter the specific key-phrases into the search, I still couldn’t find my books, presumably because I’m not ranking high enough. Which, as a person only barely starting out in the publishing game, is a nightmare scenario. Because in my world, all this means that if you’re going to self publish or going to go the indie route, you better go in with a huge following of your own. So what’s a girl like me to do? She puts all her chips on the table. I’m doing really well on Wattpad. (175k reads for Fantasy is nothing to sniff at.) The Vanished Knight has its own built-in fan-base. But it hasn’t reached critical mass. But it’ll get there. But to get there, I have to re-think my strategy. 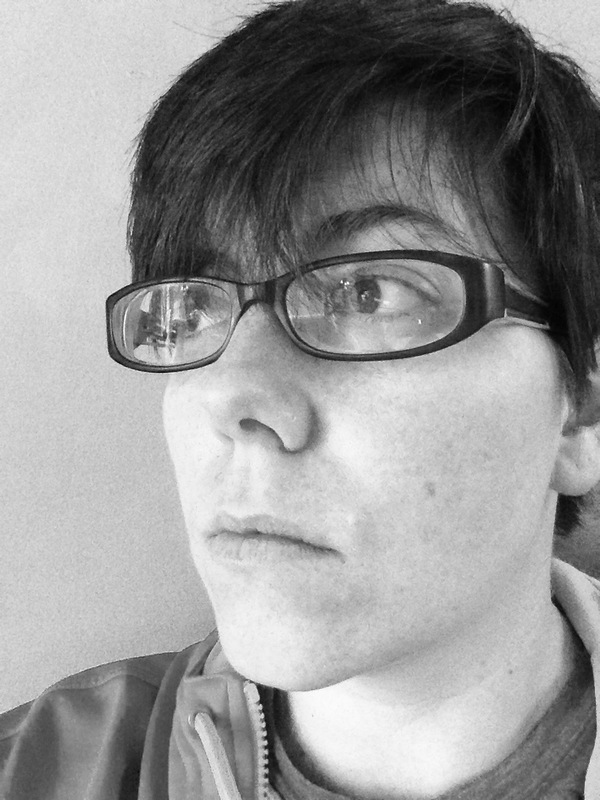 I want to make a living as a writer. I’ve also decided to join Patreon. Basically, it works on a similar concept as Gofundme or Kickstarter except for one major difference. With Patreon, the point is for patrons to pledge small monthly amounts (that they can pick) that will be paid over to the artist every month instead of one big fund that is aimed at something specific. For one thing, I’m changing my focus. To me, it makes sense to direct traffic to Patreon, so it also makes sense to use that as a hub and branching all of my social-media out of it. For one thing, Video gets better responses on Patreon, so starting next month, I’m moving over into Vlogging. I’ll still update this blog, but I think this is going to be the next step. I’ll still be writing posts here and there, though, but it makes sense to make sure that my time is spent on content that I can use everywhere. As part of my Patreon rewards, I’m going to start hosting a weekly online hang-out, but you’re all invited anyway. I’m thinking that as my fanbase grows, it might be a great way to give my favorite writer buddies (I.E. you) some extra exposure. There is also an All Posts page on Patreon where patrons can interact with each other and me, and I think this has vast potential as a different kind of social network. What about my new covers? Thoughts? Anyone think I’m insane? Hey everyone! I’m back again! Lots of news coming up this month, since I’ve decided to totally over-haul the way I’m going about my social media. But more on that later. 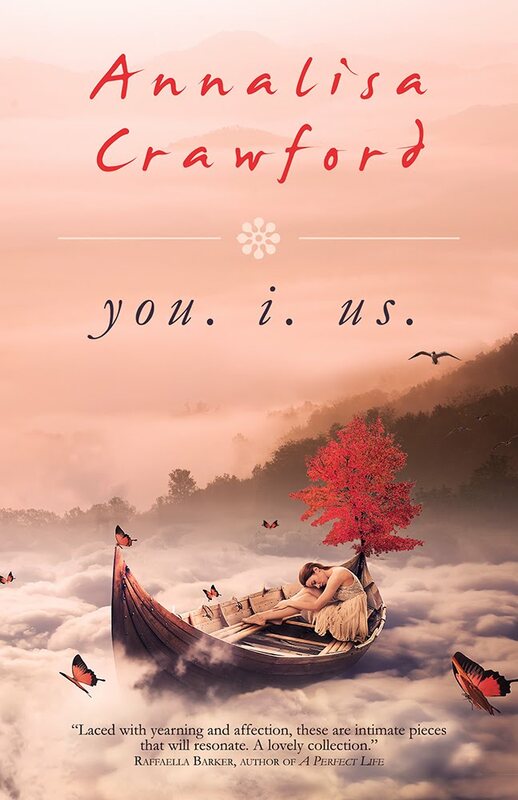 First things first, I’m welcoming Annalisa Crawford to The Five Year Project as part of the blog tour for her new book You. I. Us. Take it away, Annalisa! Do you like listening to music while working on your stories? 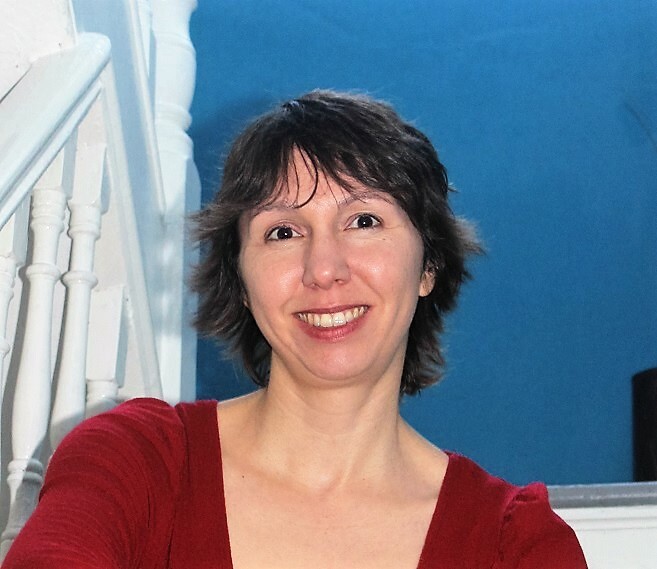 Hi Misha, thanks for inviting me onto your blog today! I go through phases, when it comes to music. During my first drafts, I watch a lot of TV—repeats of Castle and Murdoch Mysteries mostly—I’ve seen every season of each of those programmes multiple times! It’s nice to have a distraction in those moments when the next scene just isn’t quite right, and on occasion, they’ve provided a little inspiration too. Music comes later, either an old-favourite CD that I play on a loop, or a fantastic 80s radio station that has a no-repeat guarantee. Recently, I discovered a YouTube playlist of all the songs from How I Met Your Mother (another series I’ve watched repeatedly), which is brilliant, because some of those songs evoke immense emotion. For my current WIP, I’m listening to Try Whistling This by Neil Finn (from Crowded House, and fantastic as a solo artist!) This track is Last One Standing https://youtu.be/1BZFrYcgeGs If my WIP ever got made into a film, this would be the title track. Today’s the first Wednesday of June, which means it’s time for the Insecure Writer’s Support Group. For those of you who don’t know, this is Alex J. Cavanaugh’s brainchild, where a whole lot of us get together to share our insecurities and encouragements. Any writer is welcome to join, so if you’d like more information (or to sign up), please click here. Last time around, I shared the huge insecurity that cropped up over the few days before then. If I said that, I’d be lying. On top of that, there has been some more upheavals in my life that’s constantly turning around in my mind. I’ll probably talk about it in a while longer, but there’s a lot that I need to come to terms with first. That, and I need to see if this month leads to better things or if I’m just going to chalk it up to the stuff I mentioned in the previous list. Yeah. It sucked that bad, at least for the first two weeks. Anyway, I’ve been limping along for the past month and really need to do something to get back on a writing track. Problem is that I don’t know what. But it seems to me that clearing most of my social networking activities for a week or so won’t be a bad idea. Just one guest post tomorrow and then I’m going to take a blogging break until Monday 13 June. Hopefully I’ll get some writing done then.